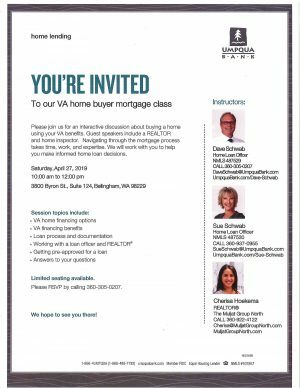 One of our agents Cherisa Hoekema is teaming up with two of Umpqua Bank’s Home Loan Officers to educate you on the benefits and financing options of buying a home with a VA loan. This is a great opportunity to come discuss your buying options! When the sun is shining we all can’t help but feel a little bit of Spring fever! A little snow won’t discourage our desire for sunshine, warmth, the outdoors, gardening, and more! 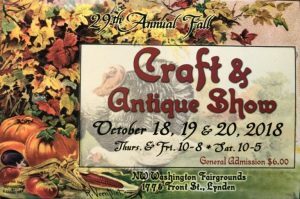 Over the next few weeks there are a lot of opportunities to catch a craft and/or antique show around town! Come check out a few or all of the shows to see hundreds of vendors that provide different services in our community. Signs, plants, bags, baby accessories, boutiques, gardening necessities, make up, skin care, etc… the list goes on! There is something for everyone. Here are just a few listed below that begin tonight! Grab dinner with the girls, a coffee with mom, or even take some quiet time to yourself and browse! 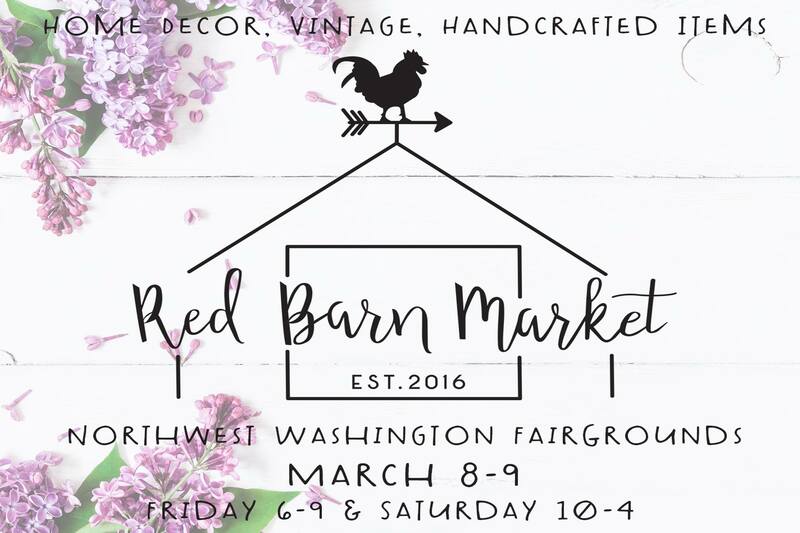 The Red Barn Spring Market begins TONIGHT @ The Northwest Washington Fair & Event Center. A Fresh New Market that you don’t want to miss! 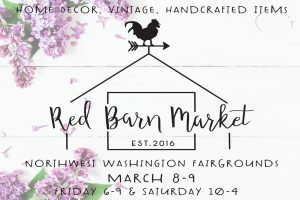 Featuring: Vintage, Craft, Home-Décor, Boutique Clothing, and so much more! 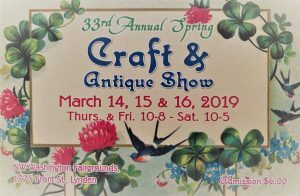 March 14th, 15th, & 16th will be the 33rd Annual Spring Lynden Craft and Antique Show! 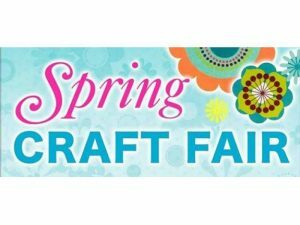 Enjoy all the fabulous booths featuring unique handcrafted wares, home and garden décor, gourmet treats, one of a kind gifts, repurposed and vintage treasures. Meet the local artisans and be inspired by all the creativity on display! This year will be the 6th fair growing every year. 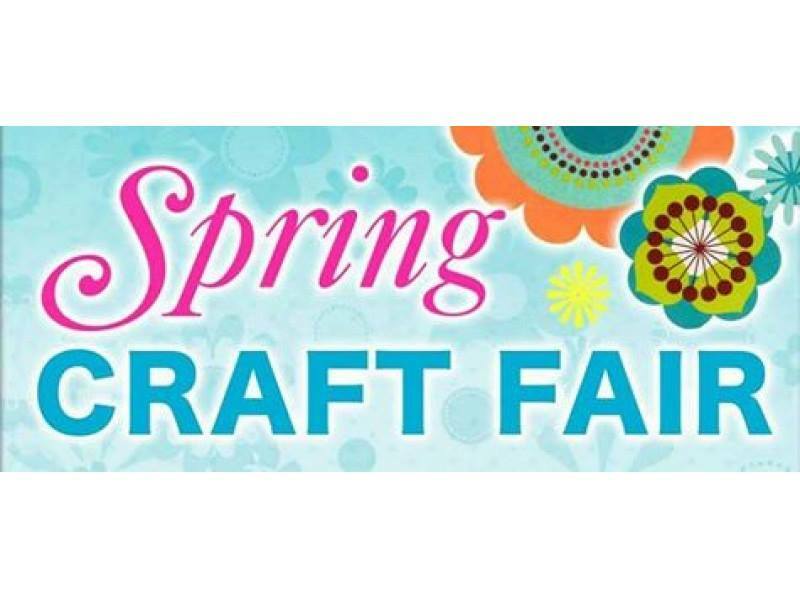 With over 70 vendors selling all kinds of arts and crafts. This is an event that the art department at Lynden High School is putting on and look forward to this fair along with continuing to do the Christmas Fair, which is in its 13th year now. 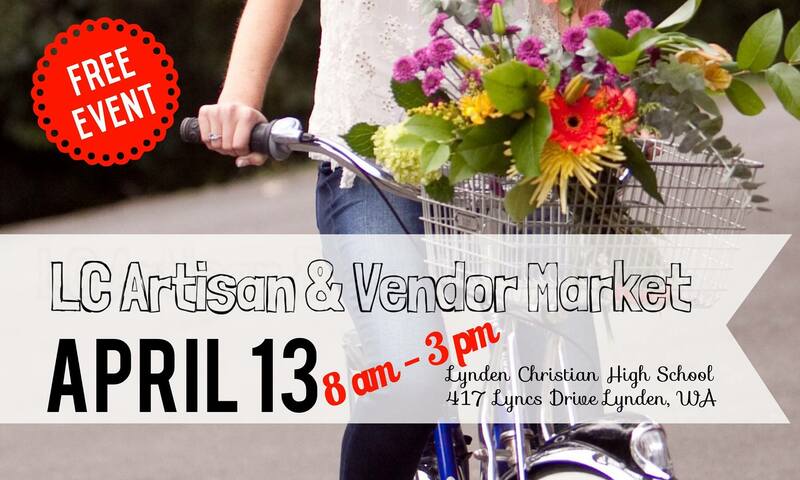 You won’t want to miss the LC Artisan & Vendor Market! 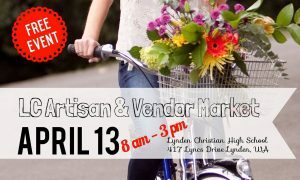 Come out and shop the diverse group of more than 70 local Artisans, Crafters, and Directs Sales Vendors. There really is something for everyone at this fun market! 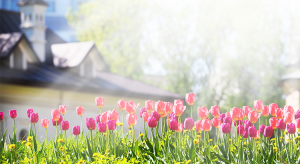 “Just like our clocks this weekend, in the majority of the country, the housing market will soon “spring forward!” Similar to tension in a spring, the lack of inventory available for sale has been holding back the market. 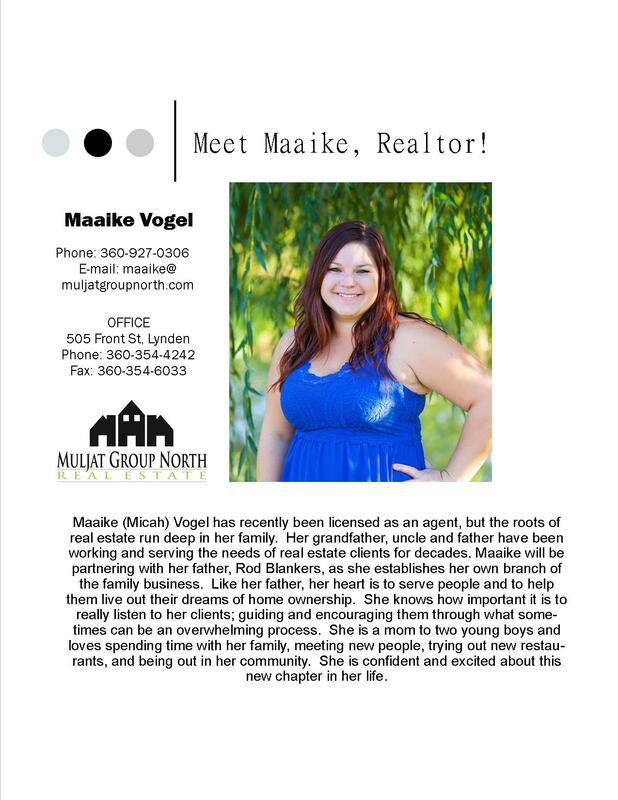 Call or stop by to meet with a realtor at the Muljat Group North office for your buying OR selling needs this Spring! We are here and happy to help! 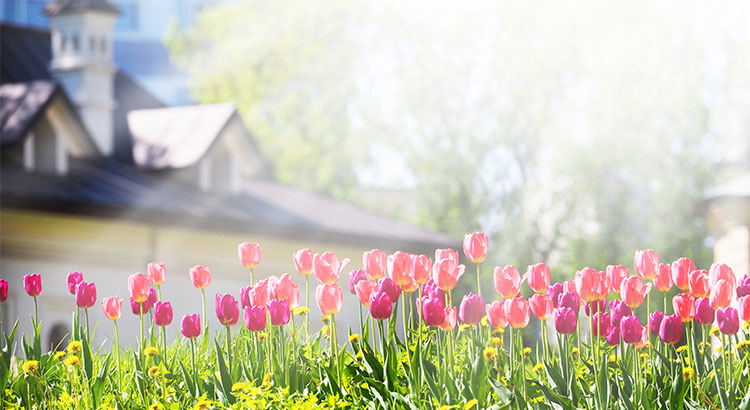 If you’ve been thinking about purchasing a home but haven’t fully committed, read the article below from Realtor.com to see why 2019 can and should be your year to buy! But the devil’s in the details, and there are quite a few factors that could dictate whether this is your year to buy. Here are the four biggest reasons to take the plunge now. Rachel Stults is a deputy editor at realtor.com covering all things real estate, including buying, selling, home decor, renting, moving, and more. 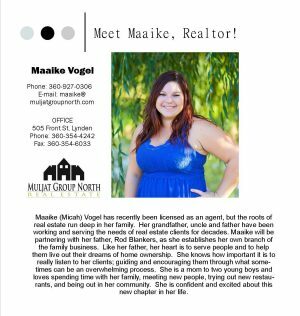 Contact her at rachel.stults@move.com. Happy Holidays! We may be in the midst of busy season for all, but if you are in the market to buy, don’t let December halt your search! Take advantage of the slowest month in the housing market and shop around.. you might just stumble upon that home you’ve been waiting on! Read this article below for all the reasons why you should continue looking through the slower months of the year! “December is typically the slowest month in the housing market, but it can be a great month for home buyers who have been sidelined to finally make their move. This month may be busier than previous December’s for that reason, too, economists say. Some buyers may be looking to take advantage of steadier mortgage rates—which are still averaging below 5 percent—and home prices that are easing somewhat. “I see more people buying right now because they’re afraid rates will be higher in 2019,” Lynn Fairfield, a real estate professional with RE/MAX Suburban in Chicago, told CNBC. Mortgage rates are still nearly a percentage higher than they were a year ago, but they are still under 5 percent. Freddie Mac reported last week that the 30-year fixed-rate mortgage averaged 4.75 percent. Rates are largely predicted to move higher in 2019. Housing affordability has become a mounting issue in the housing market, but home prices are showing signs of easing. Home prices usually are lower in the winter months, and housing reports are showing more properties are seeing price cuts. Nearly 29 percent of listings in major markets during the month ending Oct. 14 saw price reductions, according to the real estate brokerage Redfin. 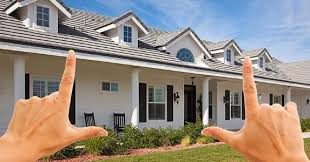 But house hunters in search of a deal may also find lower inventories of homes for sale during this time of year. According to realtor.com®, views per property are 21 percent lower in December than the rest of the year. 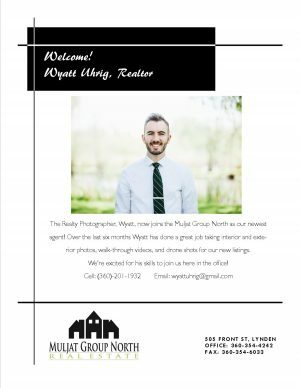 Welcoming Wyatt Uhrig to the Muljat Group North office as our newest agent! The Great Lynden “Dutch Treat” 2018 takes place tomorrow citywide in Lynden! 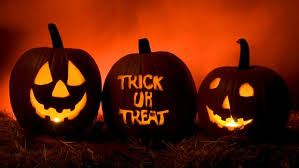 From 3:00-6:00pm bring your family (under 12 to participate, please) around town to trick or treat. Look for the orange balloons outside of participating businesses at Fairway Center, Lynden Towne Plaza, and downtown Lynden. Make sure you stop by our office @ 505 Front Street! 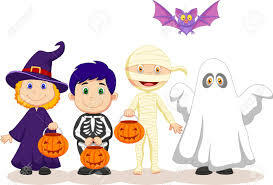 The Muljat Group North team is excited to see all the costumes! Many vendors to choose from! Antiques Collectibles Repurposed & Vintage Market Treasures, Gifts Children Love, Furniture Woodworking & Signs, Garden Décor & Gifts, Gifts That Pamper, Gift & Gourmet Food, Home Décor & Gifts, Jewelry, Painting Prints Cards Pictures & Books, Quilts Textiles Clothing & Accessories! Before you enter the market, buying or selling, read this article posted by www.simplifyingthemarket.com. All the information provided will help you understand why its helpful to hire a real restate professional! 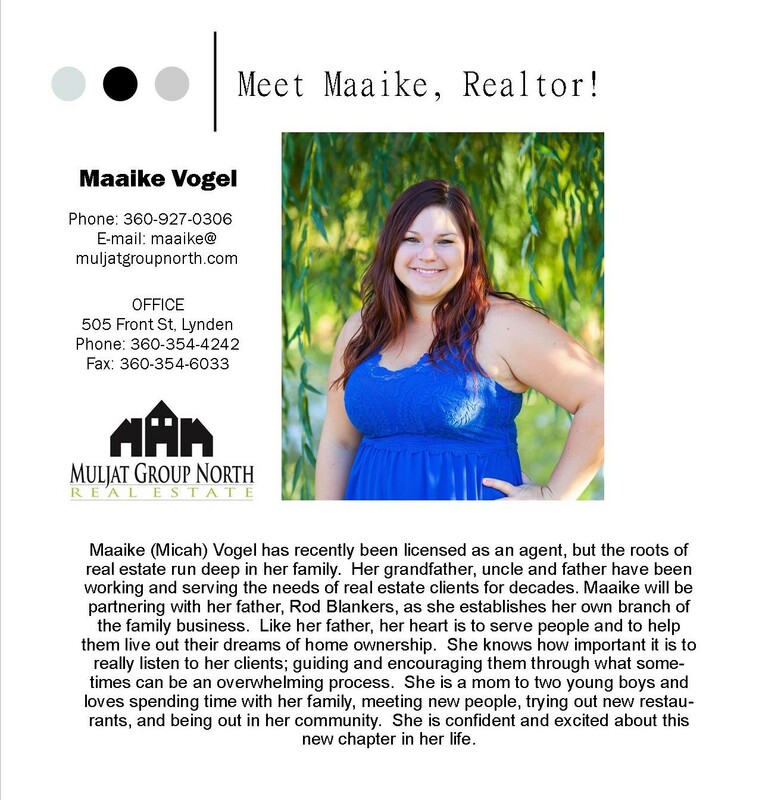 “Whether you are buying or selling a home, it can be quite the adventure. In this world of instant gratification and internet searches, many sellers think that they can ‘For Sale by Owner’ or ‘FSBO,’ but it’s not as easy as it may seem. That’s why you need an experienced real estate professional to guide you on the path to achieving your ultimate goal!